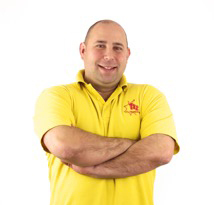 Taz and His team of top class children’s entertainers are widely recognised as the leading children’s and family show providers in the north west. Taz has been performing magic and entertaining children and adults since a very young age. His unique style of comedy and magic gets everyone laughing and in the party spirit. So, if it’s a birthday party, christeningwedding or corporate event Taz will make your special day a memorable one. 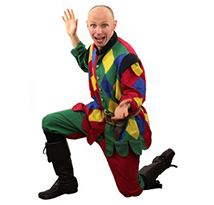 Andy Green is one of the leading magical children’s entertainers in the North West. 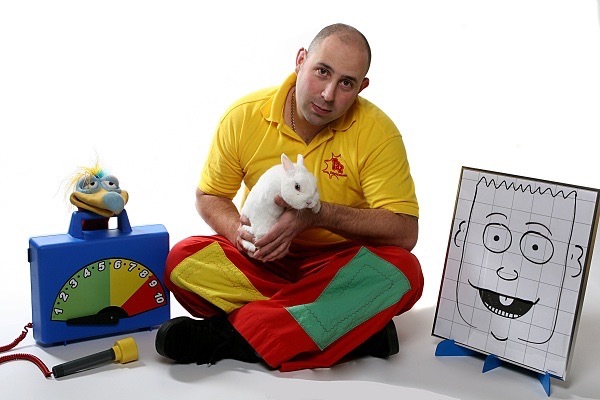 With over 20 years of professional entertainment experience Andy provides a fun packed children’s party show service. 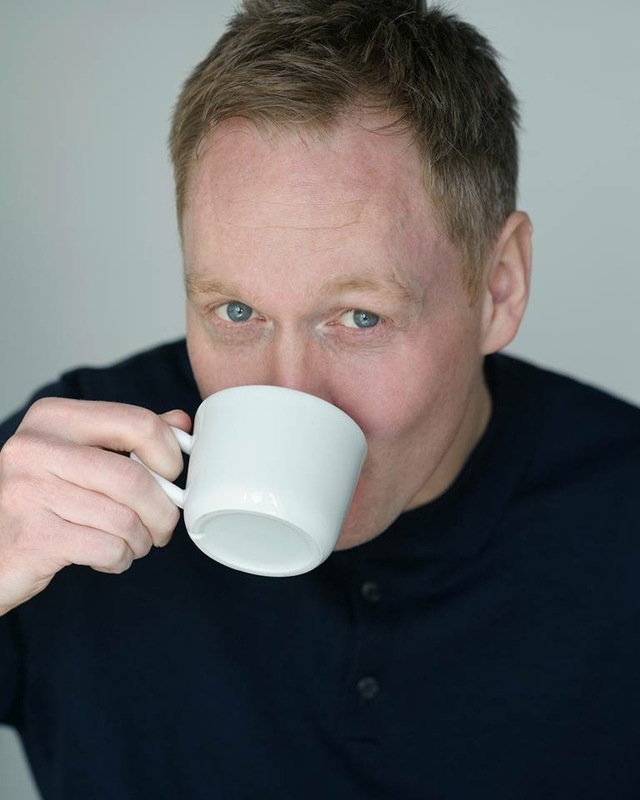 His colourful comedy show features mind boggling children’s magic, balloon modelling, juggling and the ever popular kids mini disco with all of the latest party dances, interactive games and prizes. 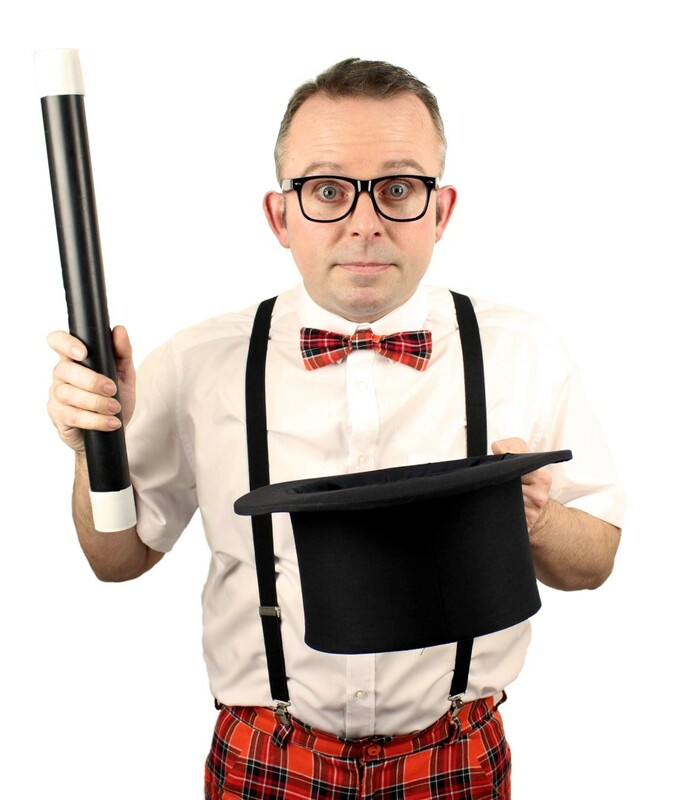 Scoop is an experienced children’s and family entertainer who wows children with amazing magic, spectacular juggling, hilarious comedy, fun party dances and games. There is also the option of balloon modeling and circus or magic workshops. 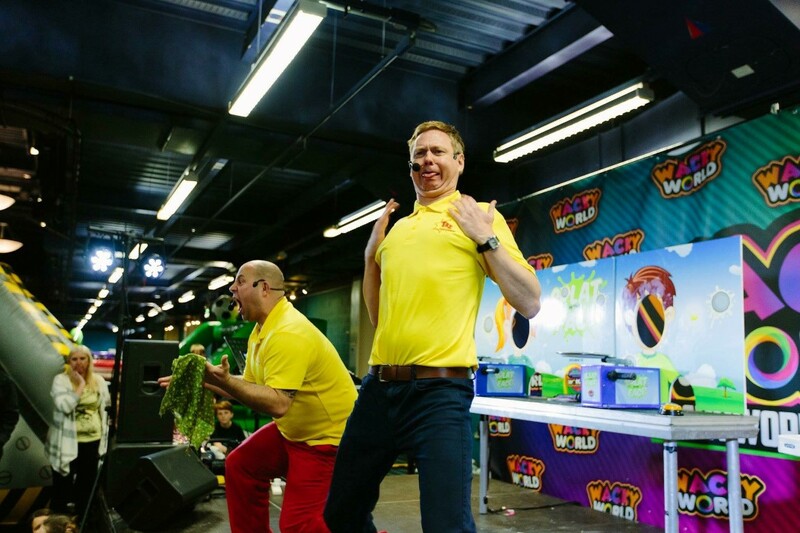 The newest member of the team, he has been performing for over 15 years and you might have seen him on CBBC or CBeebies as a number of characters.Marvins show is fast pacing with a mix of comedy, disco, magic and games. His show not only entertains the children but the adults to. No matter what the occasion – Marvin will make it special. Each and every member of Taz’s top quality entertainment team is a seasoned full time professional entertainer, with countless years of professional experience and literally thousands of satisfied customers. Have a look at all the profiles below and get in touch and our team will transform your party to a truly magical one. Taz and Marvin perform together as a double act hosting the funTAZtic gameshow. They use lots of comedy suited for all ages. From children to adults. The gameshow is perfect for large events . Wether it’s for a corporate event or a Birthday Party . We promise you will have lots of fun and laughs. Warning it could get messy!